Home Wedding Lawrence's Wedding, The Pick Up. Lawrence's Wedding, The Pick Up. A happy day where all the "heng dais" and "ji muis" gather to attack each other in funny games. 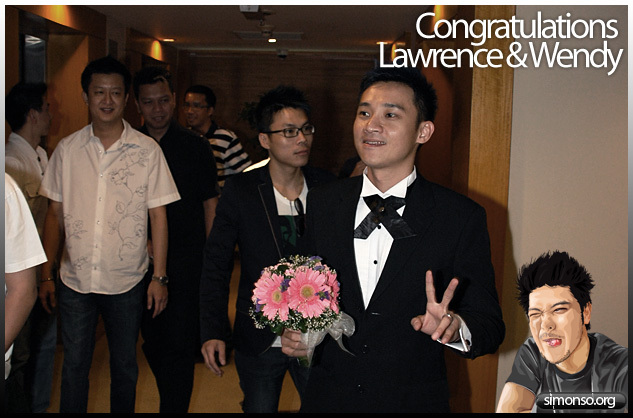 This is the day Lawrence and Wendy got married. Everybody ready to face the galore. Ah the usual, MONEY FIRST! Never say don't have! They will shut the door. So we started off with an orange, that didn't help at all. Ricky had to do pumping after that, ha ha. This will go on for a while but I am not gonna brag about it. So as soon as they opened the door, everybody rushed in! 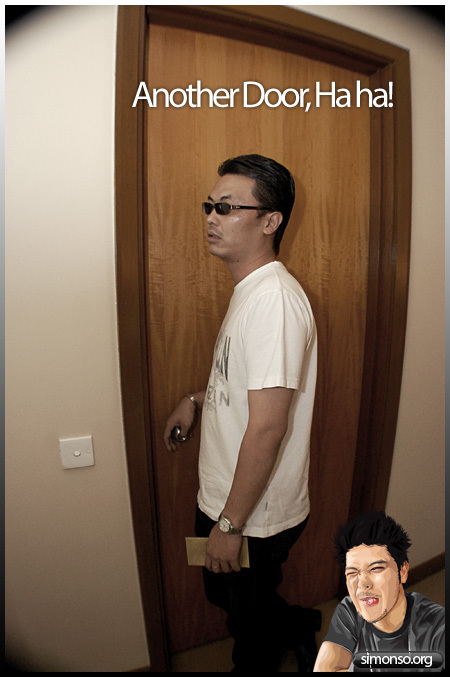 Only to find, there is another door..
Ahahaha this is the look of Johnson's stressful face. We shall find out whats behind door number 2 tomorrow!